Allison O’Bryan is serving her first year as a Playworks Americorps member at James E. Moss Elementary. Known as Coach Allie, she can be found day to day playing outside with her students and making sure that every child feels safe and included. From the day she started her service, she brought the energy and dedication needed to meet the high needs and expectations of a Playworks Corps Member. She instantly built friendships with her cohort and brought a playful attitude to each meeting that lifted everyone up. Once she stepped foot in her service site, she brought that same playful demeanor and was instantly welcomed in her school’s community. 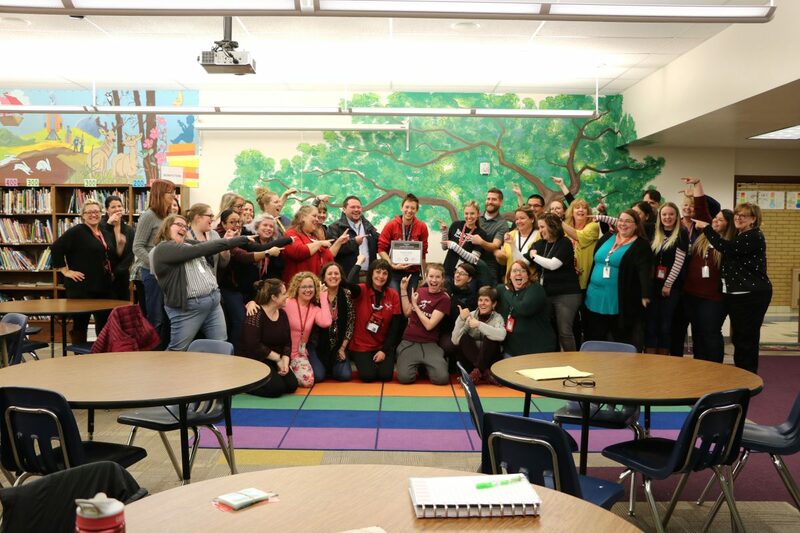 The staff at her school can’t put into words their appreciation for her efforts to go above and beyond, but the stories they share paint us the portrait of a dedicated leader in service. We are incredibly grateful to have Allie aboard our team. Members like her truly grasp the meaning of service and enable our mission to thrive. Learn more about becoming a Playworks AmeriCorps Coach here!